Leftclick is committed to ensuring that their products, employees and services are following socially responsible business practices. Leftclick is focused on the safety of their product and services through the entire lifecycle of the product/service within Leftclick’s control from manufacturing, transportation and installation to use, service, support and disposal. 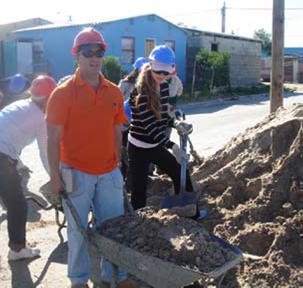 Leftclick has a commitment to social responsibility and supporting the community in which it operates. This is reflected in the activities Leftclick undertakes in partnership with non-profit organizations by giving of their time, talent and resources for philanthropic and charitable efforts. 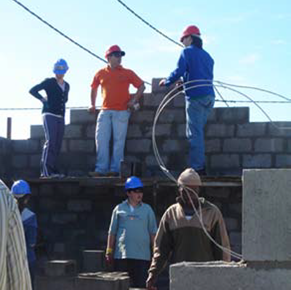 Building a house in the Mfuleni Township as part of the Habitat for Humanity Project or sponsoring a charity event, Leftclick embraces the values of customer service, innovative and entrepreneurial spirit, and integrity. We seek to integrate these core values into every aspect of our business with regards to policies and procedures in areas of quality and safety, employee welfare and community well-being. Supporting The Bethany House Trust in Krugersdorp and donating a computer system and printer where they use it to promote computer awareness amongst the young leaders, is another example of our belief in helping the community and assisting with education in a world that is increasingly based on technology.